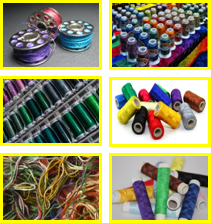 The authors have been in the embroidery industry more than 20 years. Jim and Betty Serritella started E-Z Stitches Plus, LLC, in 1992. Like most rookies, the first year was a learning year for industry activities and customer development. Jim is also the developer of EZ-Estimator, the embroidery pricing/production software. If you are a novice to the embroidery industry, Thee Embroidery Handbook is for you. Experienced folks can surely benefit from Thee Embroidery Handbook as a refresher course of information and forms. It will save you money and it will make you money. Have you ever embroidered customer shirts with the wrong color thread? (See the Proof form.) Customize the forms for your individual company logo, and parameters for information.